The Warn Zeon 8 Premium winches are a perfect fit for those seeking a dependable winch to handle any task that stands in their way. Warn winches are built tuff to withstand the elements and to keep you moving. 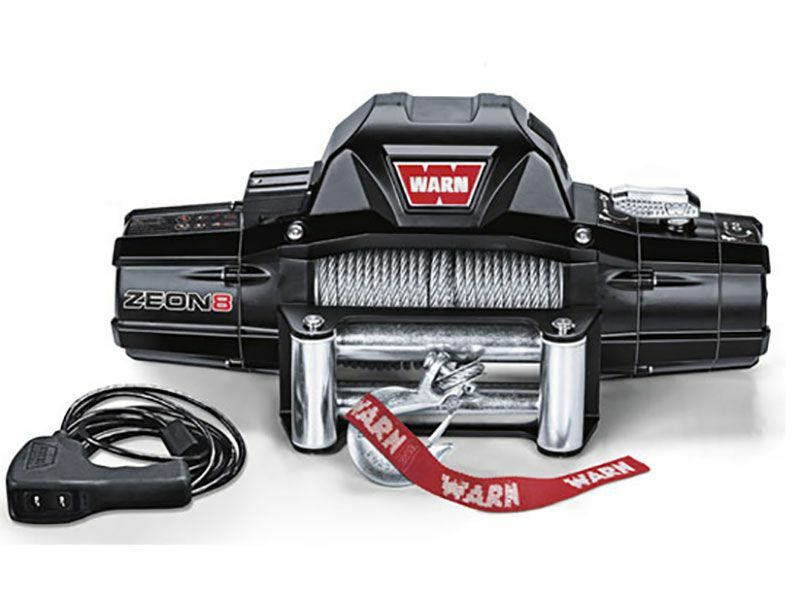 The Warn Zeon 8 Premium series has a pulling capacity of 8,000 pounds and come in two different styles, the Zeon 8, and the Zeon 8-S. Both are similar in features but there a few differences. The Zeon 8 includes 100 feet of 5/16 inch galvanized steel rope fed through a roller fairlead and the Zeon 8-S includes 100 feet of 3/8 inch Spydura synthetic rope fed through a hawse fairlead. If you want to be a hero go with a Warn Zeon 8 Premium winch, so go ahead, and get yours today. Warn premium series winches include a limited lifetime warranty for mechanical components and a limited one year warranty for electrical components. Warn winches include a manual that will guide you through the installation of your warn winch at your own home. For any additional questions please call us at 1-877-216-5446 or 701-253-5906.